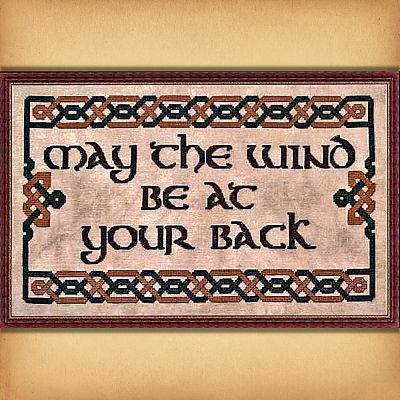 - As Irish as can be. 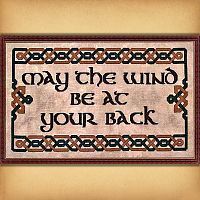 Green and gold knotwork frames a line from one of the best-known Gaelic blessings. 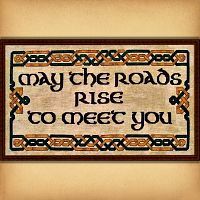 Makes a wonderful companion piece to the matching "Roads Rise to Meet You" piece. 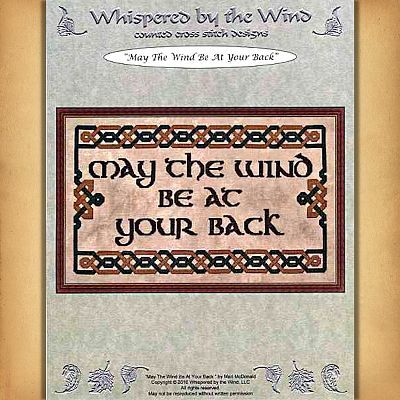 Design measures 207 stitches wide by 115 stitches high. 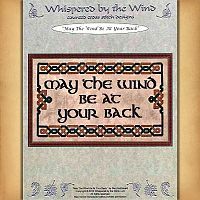 Do you have any other questions about our "May the Wind Be at Your Back" Cross Stitch Pattern?